While the lads were running around in this beautiful Easter sunshine, i was at home laying a carpet in the lodgers room. Needed to be done while she was on holiday, so the hottest weekend of the year was an ideal opportunity! Quick glances on twitter and a quick check on the radio were my efforts to keep up to pace on a game of real drama. Being Charlton, we were never likely to tick these remaining fixtures off in a quiet, mundane fashion and an early goal for the visitors through Paul Benson, starting up front alongside Nathan Eccleston, was a great way to start. Eccleston, getting a very rare chance to play more than fifteen minutes, was in for the rested Bradley Wright-Phillips. Another rare starter was Kyel Reid. The second half was going to be one he'd remember, as will the travelling red and white army, for a long time to come. A goal up at the interval, no-one would have predicted how the events would then unravel. Charlton doubled their lead only a minute into the second half. It was a peach of a goal from Reid from all accounts and one worthy of winning us the three points. 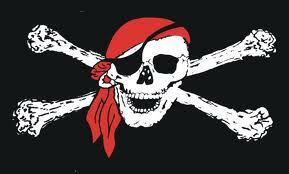 The pirates, and the ref (possibly the biggest pirate of them all) had other ideas though. Just around the hour mark, the addicks who were cruising had the wonder goal hero sent off for two bookings in about the same amount of minutes. Not much time passed before Semedo also fell foul of the man in charge and we were going to have to cling on with only nine. As it turned out, even Sir Chris was sent packing to the stands, maybe a little too much sun for everybody. Bristol Rovers pulled the two goals back to take a share of the points, which they needed a lot more than us in their relegation battle. there has been a song playing at work on the radio every day that has really managed to get stuck in my head. 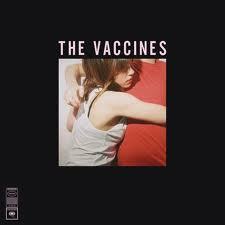 It's called 'If you Wanna' and it's by The Vaccines. The name vaccines rang a bell with me so i checked my iTunes library to confirm. Yes, i had a track by this same group already. Every week, iTunes have a single of the week which you can download for free. The other week it was a song called 'Norgaard'. I heard my thirty seconds, liked it, and downloaded it. So now I'm keen on two songs, and the album is available for under a fiver, well, what are you going to do? It has got to be one of the freshest albums for ages. Its got the energy and catchiness of The Ramones, yet has wailing guitars and an almost dark edge which is so reminiscent of The Jesus and Mary Chain. Wrecking Bar (Ra Ra Ra ) is the opening song. In true Ramones style, it's only one and a half minutes long and really ought to start 1-2-3-4 !!! If you wanna follows, and to put it into perspective, this catchy single is in fact one of the weakest tracks on the album. Wetsuit, All in White, and Family Friend will, i think, go on to be Vaccine classics if the band don't turn out to become one hit wonders. Out of twelve tracks, only three are over three minutes long. This is Indie with a large hint of punk energy. Listen to this album, it really will make an excellent addition to your collection. I was so surprised it's their debut album, it's going to be a future classic for sure. I rest on childhood memories.